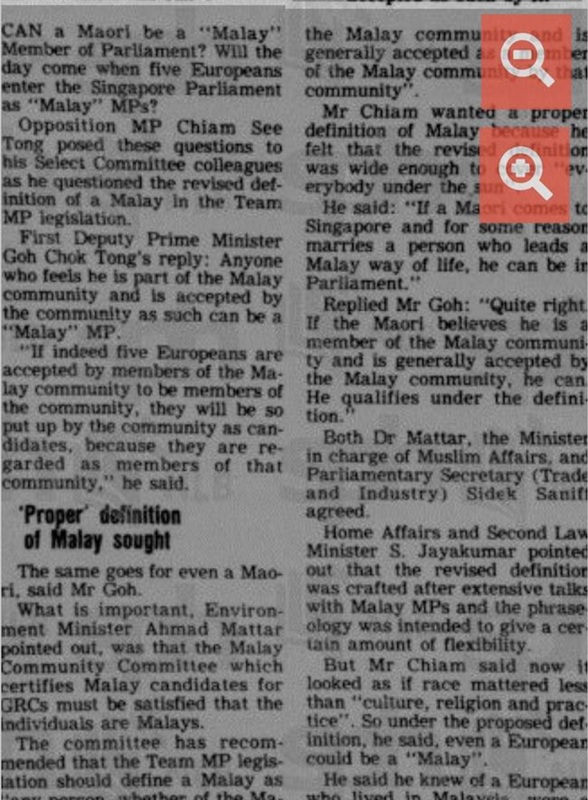 The issue on the definition of Malay was debated earlier in Parliament (in the context of the GRC system) back in 1988. 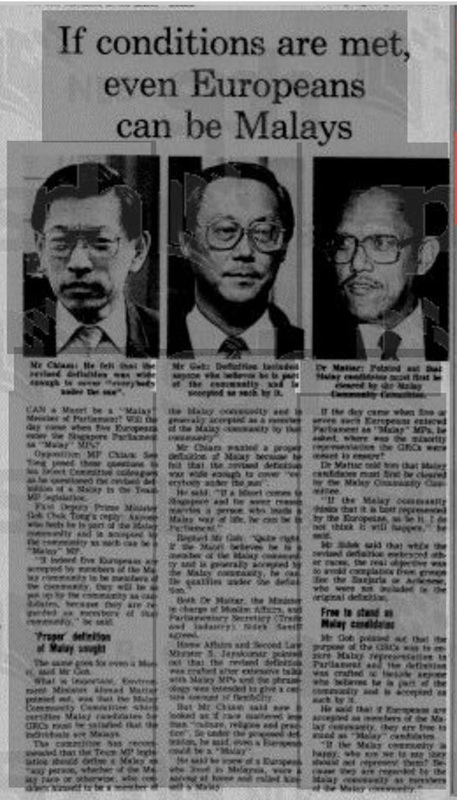 It was an exchange involving Goh Chok Tong, Chiam See Tong and Ahmad Mattar. Can a Maori be a “Malay” Member of Parliament? Will the day come when five Europeans enter the Singapore Parliament as “Malay” MPs? Opposition MP Chiam See Tong posed these questions to his Select Committee colleagues as he questioned the revised definition of a Malay in the Team MP legislation. First Deputy Prime Minister Goh Chok Tong’s reply: Anyone who feels he is part of the Malay community and is accepted by the community as such can be a “Malay” MP. “If indeed five Europeans are accepted by members of the Malay community to be members of the community, they will be so put up by the community as candidates, because they are regarded as members of that community,” he said. 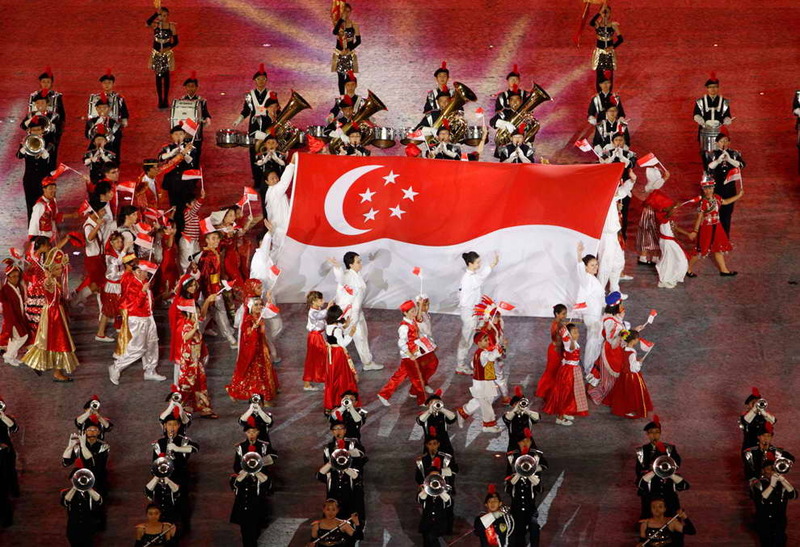 The same goes for even a Maori, said Mr Goh. 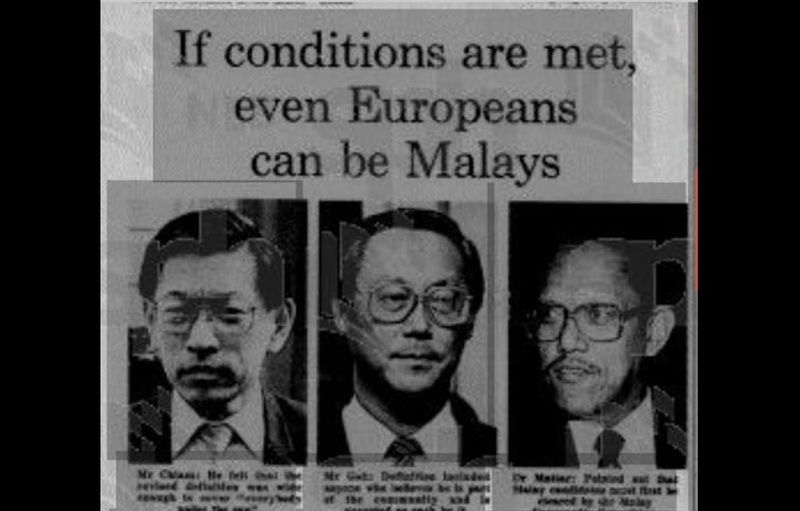 If the day came when five or seven such Europeans entered Parliament as “Malay” MPs, he asked, where was the minority representation the GRCs were meant to ensure? 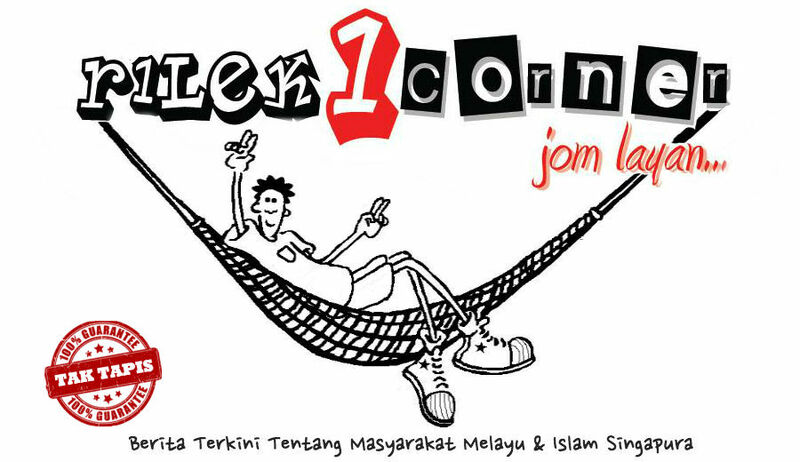 Dr Mattar told him that Malay candidates must first be cleared by the Malay Community Committee. “If the Malay community thinks that it is best represented by the Europeans, so be it. 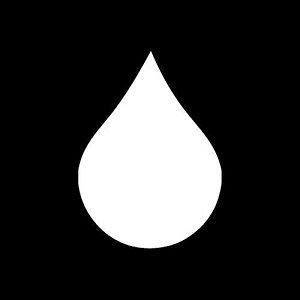 I do not think it will happen,” he said. Mr Sidek said that while the revised definition embraced other races, the real objectives was to avoid complaints from groups like the Banjaris or Achenese, who were not included in the original definition. Mr Goh pointed out that the purpose of the GRCs was to ensure Malay representation in Parliament and the definition was crafted to include anyone who believes he is part of the community and is accepted as such by it. He said that if Europeans are accepted as members of the Malay community, they are free to stand as “Malay” candidates.